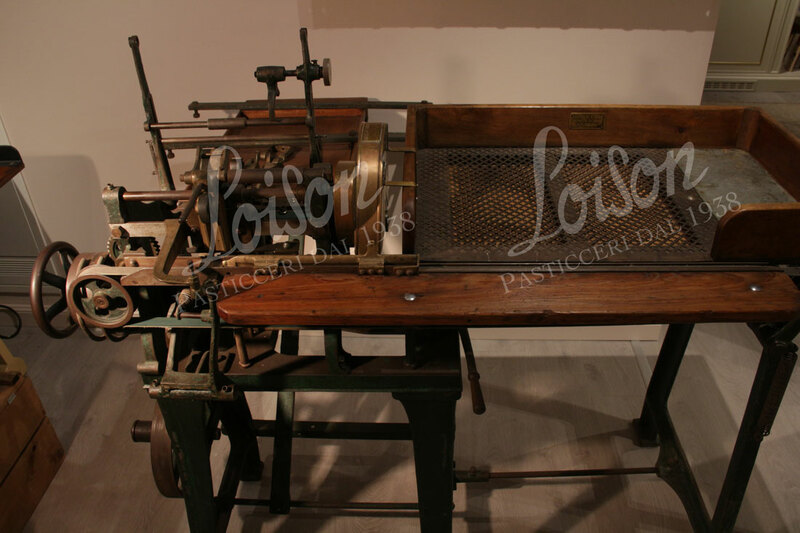 Wrapping machine by Rose Bros Gainsborough Ltd.
Rose Bros Gainsborough Ltd. was the maker of this piece of equipment used for wrapping candies. 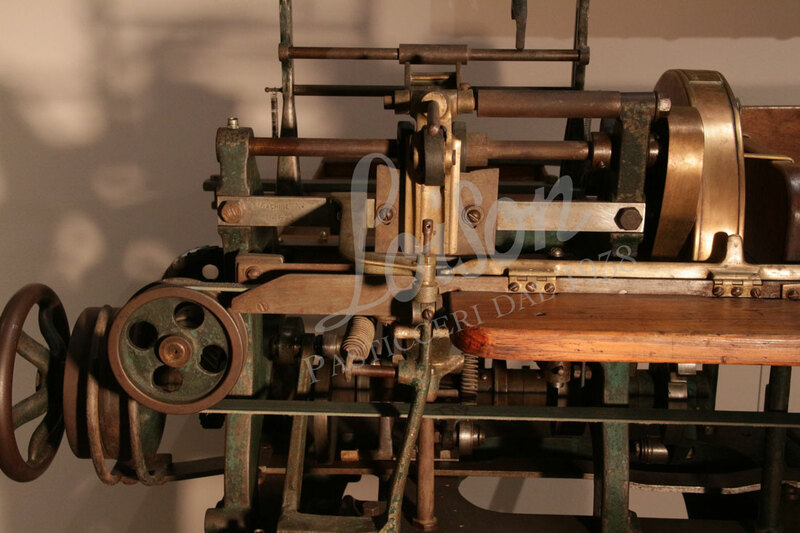 In the late 19thcentury, William Rose was a young English man with a passion for mechanisms and the drive to experiment with machines that he hoped could replace the manual wrapping of tobacco. Most likely prompted by what was going on in the U.S.A., where manufacturers had aimed at reducing the cost of labor and achieving large-scale production since the mid-1800s, William Rose applied for and received his first patent. 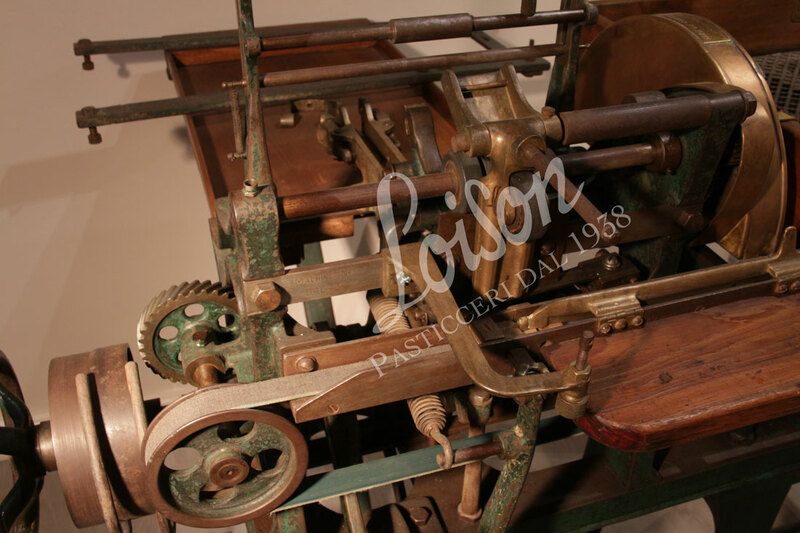 It was 1881 and his machine saved time by wrapping tobacco much quicker than manual labor could. However, the beginnings were not so easy: he had to work without any other physical or economic support, and had to fix mechanical problems of all sorts. It took seven long years before he could reach his goals. 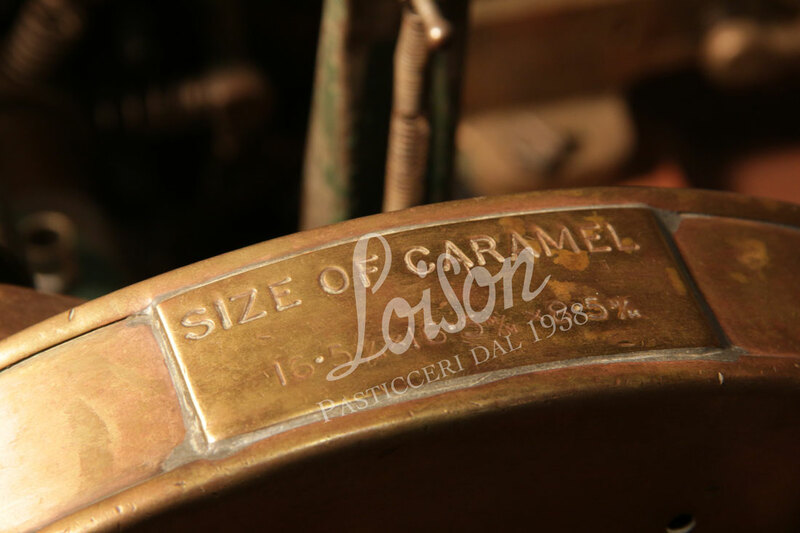 William Rose and his brother finally founded a specialized company that was able, over time, to extend its range of packaging products and even expand abroad. 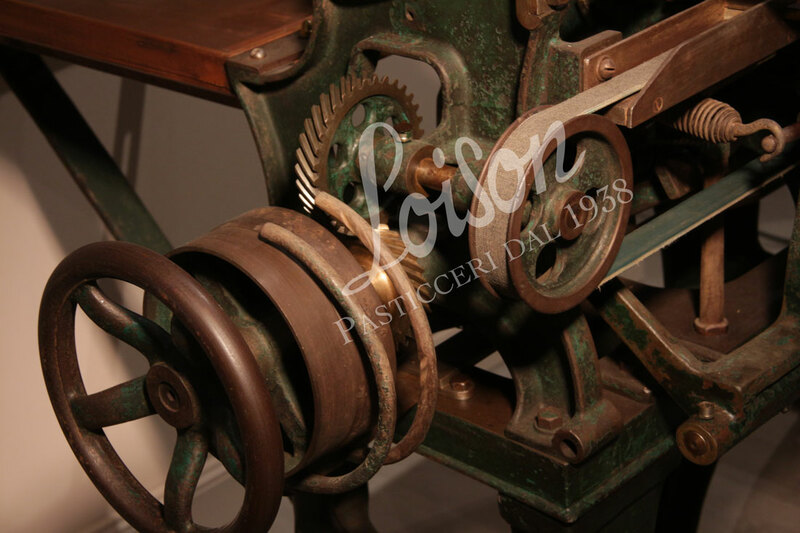 A certain type of equipment produced by the Rose brothers was this candy packaging machine, which was exclusively sold to chocolate manufacturers, confectioners, bakers, cookie makers and tea producers. In a London exhibition of the 1940s, a similar model, which was slightly more advanced, was introduced. 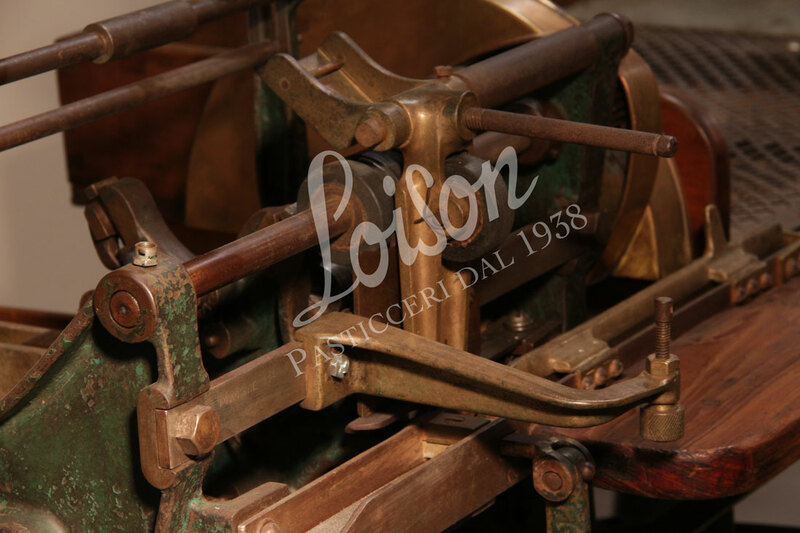 On this ancient piece of machinery, proudly displayed in the Loison Museum, there are still the original labels bearing the machine’s serial number, the size of the candy it could pack, the year of manufacture and the trademark. 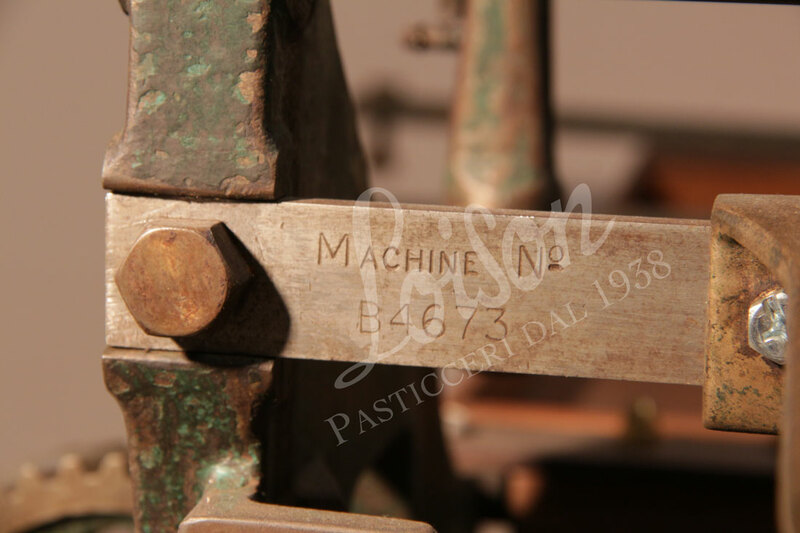 It is a valuable testament to the technological and industrial development of the early 20thcentury.